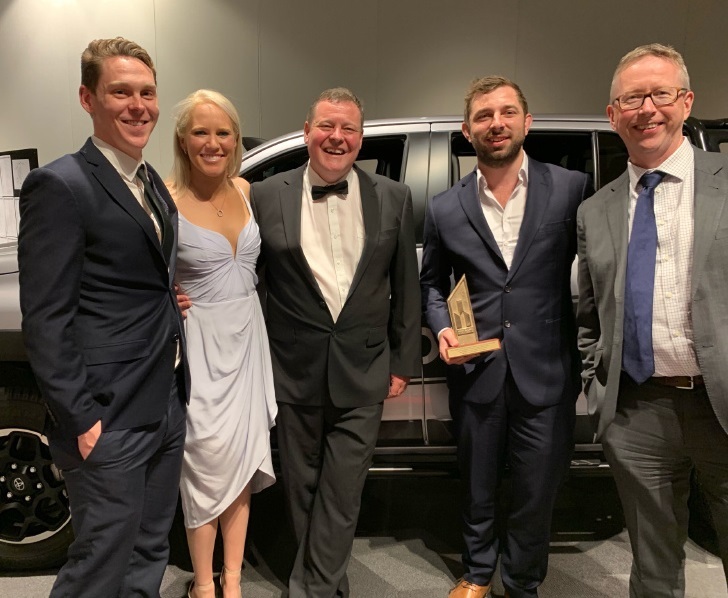 Congratulations to Jack Cahill and the Church Point project team for winning the MBA National Award for Excellence in Civil Infrastructure (up-to $25m) for the McCarrs Creek Road Church Point Upgrade Project. We were also finalists in the environmental excellence category for this project, which is an achievement in itself. 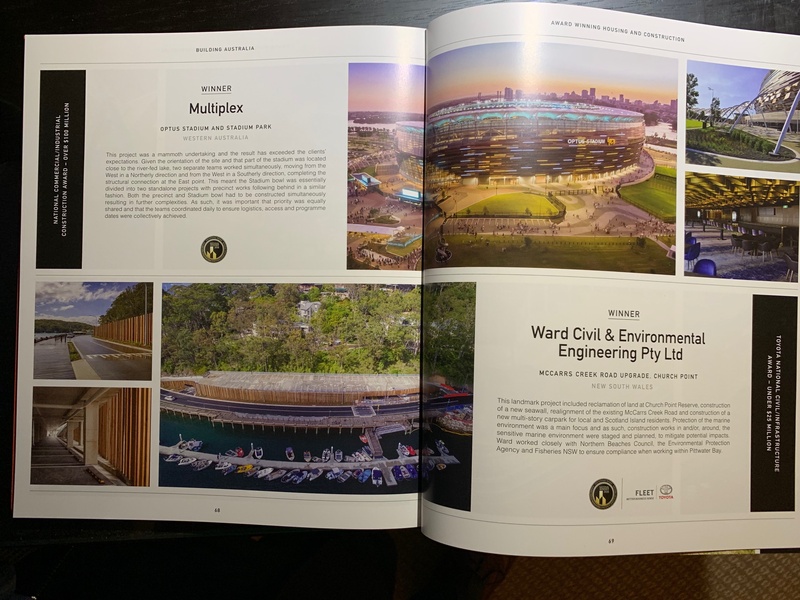 We were in good company, with our presentation sitting alongside that of Multiplex who took out the overall excellence award for the Optus Stadium development in Perth. This is deserved recognition for what has been a fantastic effort in delivering a unique piece of infrastructure at Church Point. Well done to all who have contributed to this landmark project. Particular mention is due to Claire Langdon who prepared the award submission, Duncan Williamson who presented the project to the judges on site, Shane Morrissey and Beau Westland who made sure the works were always consistent with community expectations and PM Jack Cahill who worked long hours with the local community Aesthetic Advisory Committee to ensure their needs were met. & Thank you for Northern Beaches Council for trusting us, and being a delight to work with. Speical mention to Aidan Cunningham (LuXlusive) for the top notch photos that no doubt helped us secure this win! This is excellent recognition for our hard work!